This entry was posted in Blog, General, Homeowners Insurance on 06/07/2017 by Alejandra Vazquez. Getting your yard looking nice this spring and through the summer might not be as hard as you think. As a homeowner, taking pride in your home can mean just as much as the actions you take to safeguard it. Much like reviewing homeowners insurance quotes online so your home is covered correctly, DIY landscaping upkeep can keep your home up-to-date and looking great. Here are four DIY landscaping tips you can incorporate into your yard quickly and efficiently this spring. If you don’t have time for seeding your lawn and/or future lawn maintenance, mulch can be a landscaping option. Mulch has a more natural look than a rock garden and makes it easier to plant and feature flowers when you do have some time to improve your yard’s look. Some parts of the country even have tax rebates for those going with grass alternatives. This could even become more of the norm in areas across the U.S. where water is scarce. If your fence is aging but still sturdy, it might just need a bit of a face lift. Painting or adding a nice stain to current fencing can make it look like new. If you would like a little more privacy in your yard, attractive latticework can easily be added to the top of your existing fence, adding height without requiring an entire overhaul. Vines and greenery can hide an older fence as well. Plant vine-producing plants and hanging trellises along your fences to bring a lush look to your yard and hide older fencing at the same time. A great way to protect aging cement is to seal growing cracks and lengthen the life of walks and driveways. DIY sealants are becoming more popular. Find them at home improvement stores and follow the guidelines for preparing the area, applying, and drying. This can be as simple as sealing a few cracks to keep weeds from peeking through and to slow further damage. 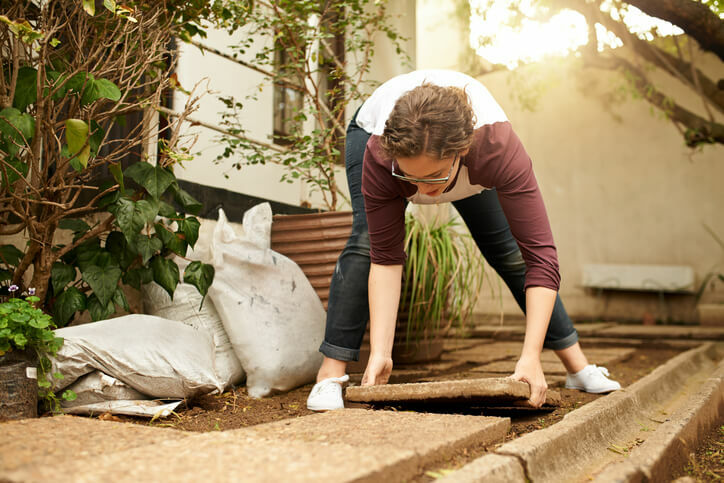 If your driveway is in more disrepair than you realized, calling in a professional might be in order. Tackle projects now, while the spring brings blooms and greenery, to maintain your yard throughout the next three seasons. But remember that even the simplest improvements may not be possible to keep up in the long term. Take into account what plants grow well in your area. For example, rock gardens are a good option in harsh winter regions, and you’ll have better luck with cacti and succulents in drought-prone areas. Consider what will thrive best in your yard with minimum ongoing care. Keeping your home safe and your yard looking great are ongoing projects for all homeowners. If you can also take a little time to review homeowners insurance quotes online, you can trust that your home will be safe from accidents while also looking its best. Being aware of the average cost of homeowners insurance is something that can save you money over time, especially if you need larger emergency repairs. You’ll be able to enjoy DIY landscaping and sleep well knowing your home is protected at the same time. Call Freeway Insurance today to find a great selection of homeowners insurance plans. Our team is available to answer any questions you may have about your homeowners insurance. To learn more, call us today at (888) 443-4662.